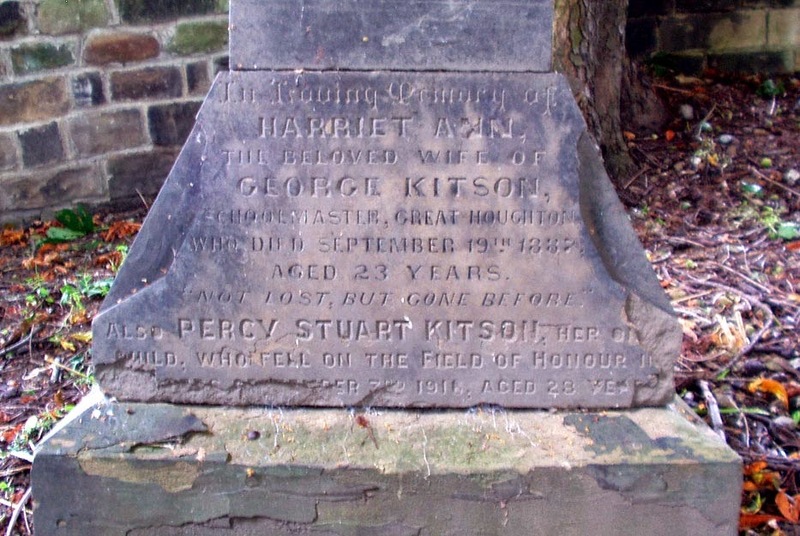 In Loving Memory of / Harriet Ann / the beloved wife of / George Kitson / Schoolmaster, Great Houghton / who died September 19th 1887 / aged 23 years / Not Lost, But Gone Before / also Percy Stuard Kitson, her only / child, who fell on the Field of Honour in ?? / September 3rd 1916,aged 28 years. 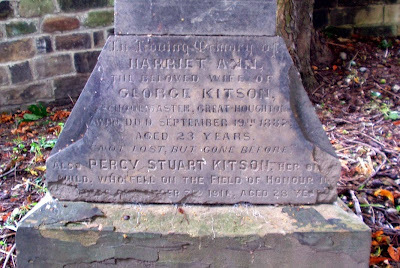 Read more about Percy Stuart Kitson on the Australian War Memorial website. Percy is buried in Bedford House Cemetry in Ieper, Belgium and commemorated on the Commonwealth War Graves Commission website.